Tea, today, has become an integral part of our life. Right from the morning till the end of the working hours, a cup of masala chai tea is crucial to a common man's daily life. Apart from refreshing the mind, masala chai tea also energizes one's thinking and refreshes a low mood. So when chai tea has become such an indelible part in our everyday life, Quiktea decided to offer its consumers some novelty in their favorite beverage. To bring about exciting changes in a beverage which is vastly popular among people across continents wasn't an easy job. 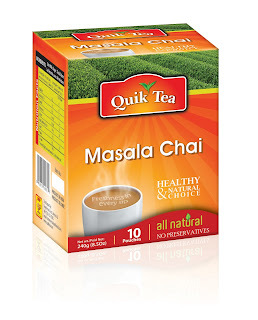 However, we at Quiktea, decided to come up with a new variety of Masala chai tea. Although 'masala chai' is an already explored territory, we decided to give our consumers something interesting which will provide a new, exciting experience as well as fortify the standards and reputation of Quiktea. Apart from the regular ingredients in the tea, we also decided to add a whole new range of spices to make drinking tea a pleasure like never before. At Quiktea, we see to it that the best tea leaves from the leading tea plantations in Assam and Darjeeling are selected. These tea leaves are selected only when they are at the peak of their aroma and flavor. This significantly helps in enhancing the quality of the tea which is reflected in the flavor, once the raw tea leaves are converted into a finished product. However, plucking the best leaves is only half the job. For serving a 'special' masala chai tea to our consumers, we use the best spices, grown especially in Kerala. The blend of this variety of flavors only adds to the taste, aroma and the flavor of the tea. At Quiktea, we follow the expert advice of some of the most appreciated and renowned tea specialists while selecting the various spices we use in our products. The blend of different spices like clove, cardamom, black pepper and cinnamon take the joy of sipping hot tea to an ethereal level. Additionally, the medicinal properties that these spices provide to the classic masala chai tea are in-numerous The addition of ginger while making a masala chai tea can only bolster the pleasure of its already great taste. Also, not many know that drinking tea has its own benefits as tea works as an anti-oxidant and also reduces the chances of a heart attack or stroke. 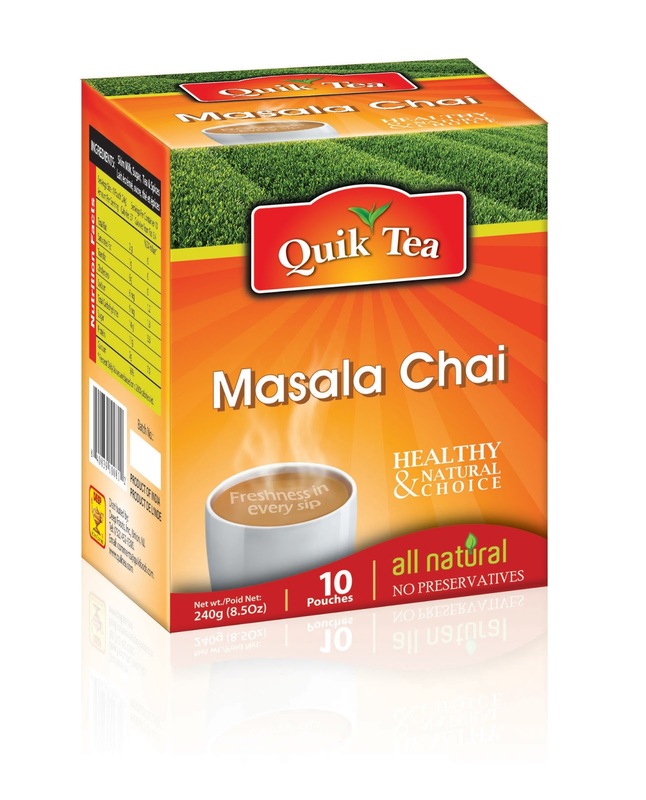 So why not make drinking tea a more delightful ritual by adding the special Quiktea twist to your masala chai tea!! !